What is it about ice cream sandwiches? People love them...round, rectangle, vanilla, chocolate chip, neapolitan. Doesn't seem to matter what kind - doesn't even matter when it drips down your arm. Or did you learn from your Mom to wrap the wrapper around the end? 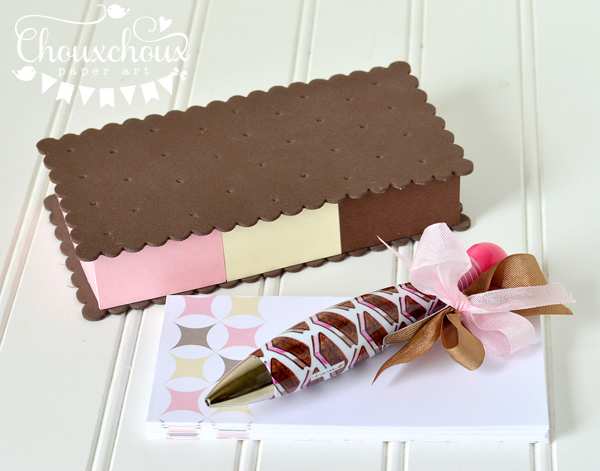 When I saw this fun chubby pen at Michaels covered in neapolitan ice cream sandwiches, I thought I would love an ice cream sandwich box! 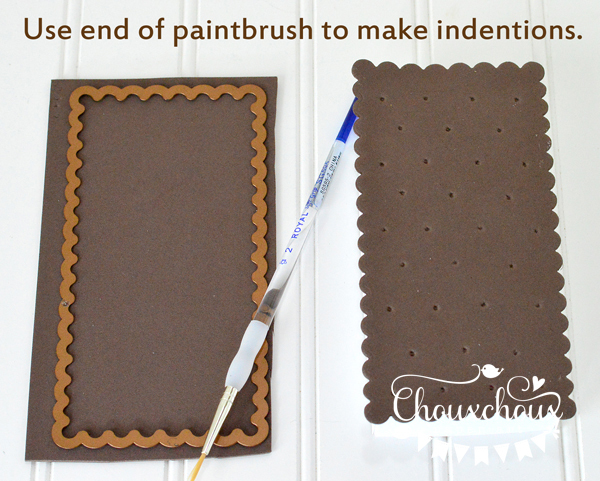 I was just thinking paper, but then I came across chocolate colored craft foam - perfect! 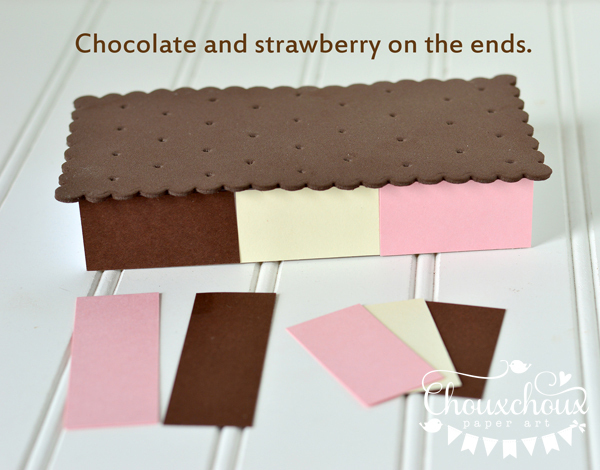 An ice cream sandwich box turned out to be super easy to make. First I used a Spellbinder die to cut the chocolate wafer pieces. This one is 3 1/4 x 6 1/4". If you don't have a die, you can cut the foam with scissors or a craft knife. I used the end of a paintbrush to make the indentions and I had to push pretty hard to get them to stay! But it looks just like the chocolate wafers on an ice cream sandwich. Next you'll need to size the box to fit your chocolate wafers. Make it about a 1/4" smaller than the outer edge of your box. For this scallop die, the finished box size is 2 3/4 x 5 3/4". The top needs to be 1/8" larger to go over the bottom. For this box, I cut one piece of 110 lb. cardstock to 4 3/4 x 7 3/4" for the bottom and one piece to 4 7/8 x 7 7/8" for the top. Both top and bottom are scored at 1" on all sides. 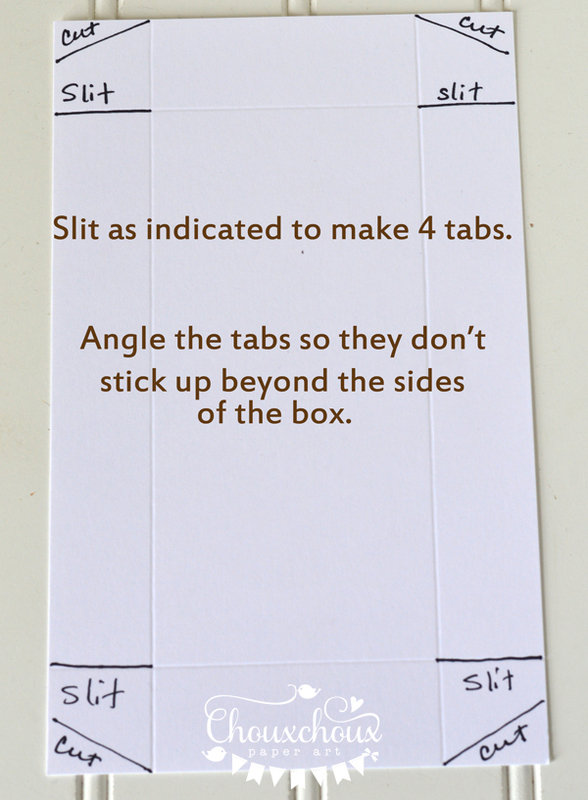 Create the tabs. 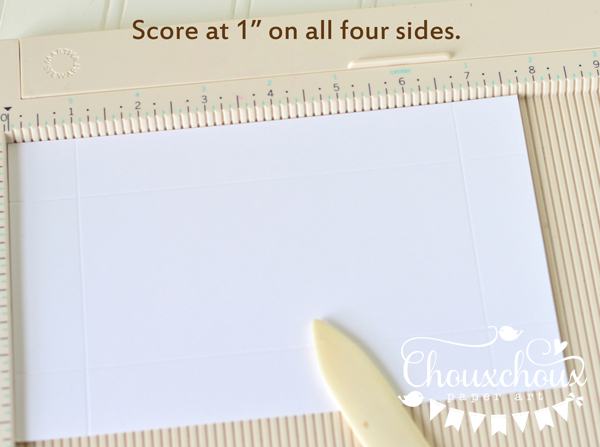 Fold on scores and glue tabs. Glue the chocolate wafers to the top and bottom of the box. I used Aleene's tacky glue. Only the sides of the top need the neapolitan pieces. I also created a notepad to fit inside the ice cream sandwich box. I printed a neapolitan colored pattern (from Gemmed Snail) onto 22 lb. copy paper and covered an entire sheet front and back of 110 lb. cardstock with the same pattern. I stacked 65 pieces and one cardstock piece on the bottom for sturdiness. Clamp all together. 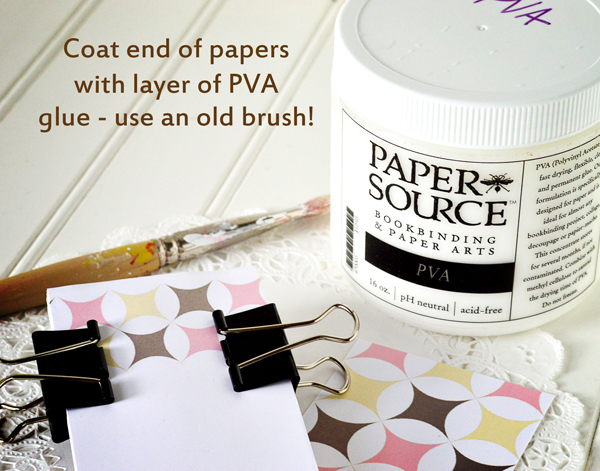 To turn the papers into a notepad, I covered the end with PVA glue. Use an old paint brush - one reserved for glue. When the glue dries, the pages will easily rip off. Very cool. I just love this ice cream sandwich box! I'm going to take it to work. And I'm going to smile every time I see it! 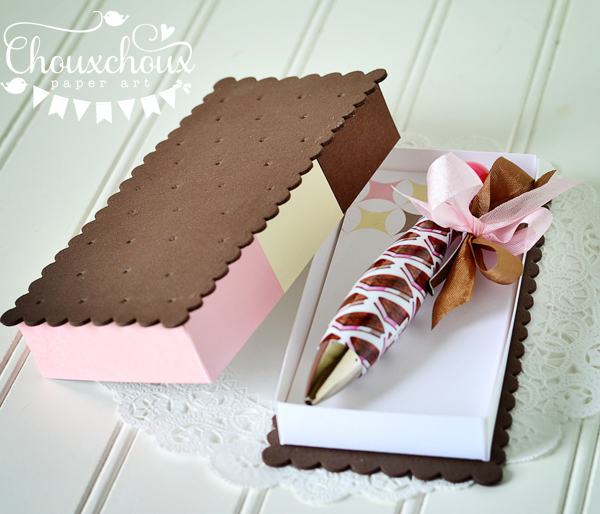 New Choux Box Kits are on the way today! 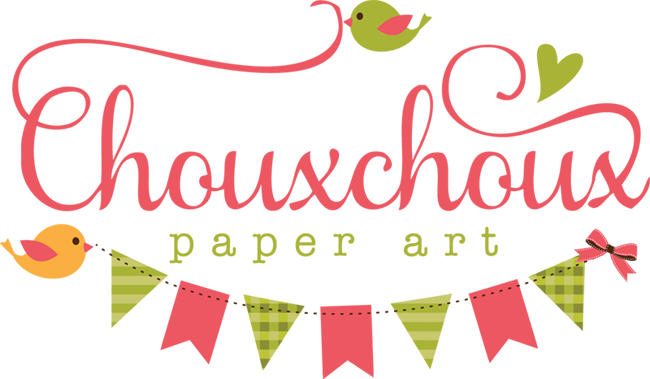 If you would like to receive an email about the limited edition kits, you can join the Choux Box Kits Club. What a fabulous idea Lori. The box is a super way to store that fab pen and some note paper. Yum! Looks good enough to eat! Cute project! Oh my goodness - I love this!!! Adore that pen too :-) Great gift idea. Have a fabulous rest of the week. That is too cute!! And looks so good too! Yum! I love ice Cream sandwich's! Haven't had one in years, yum!! Fabulous job! My gosh - this looks real -YUM!! 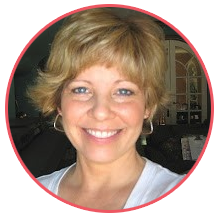 Amazing project, Lori!!!!!!! I remember a stand in downtown Canton where they sold neapolitan ice cream sandwiches. I must have been about 7 or 8 years old... WOW... ages ago! What a fabulous box Lori. Pretty, funny and really cute. I love it!!! !